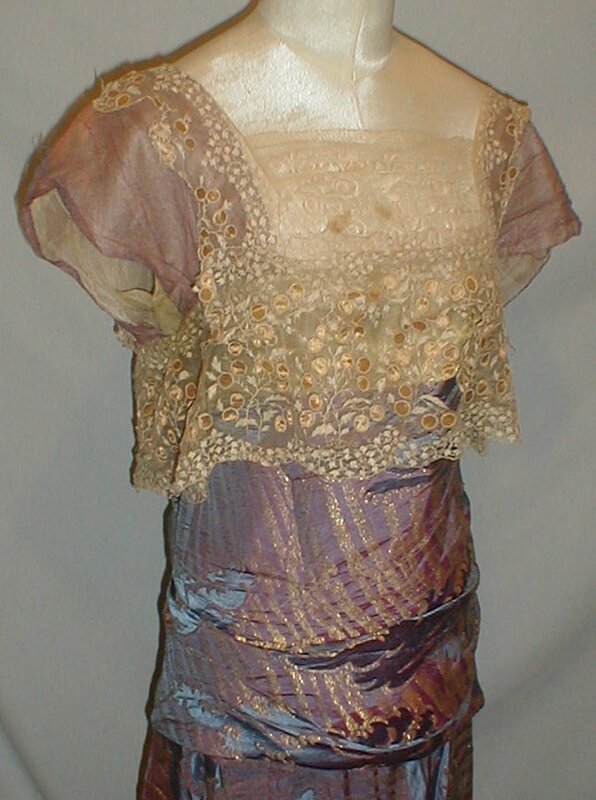 A glorious 1915-1918 Edwardian lame and net lace evening dress. 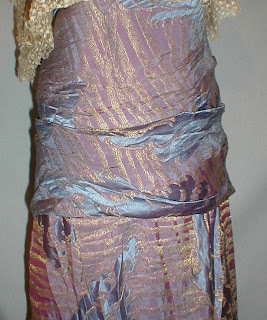 The lame fabric is done in shades of blue, mauve and gold. The bodice is trimmed with a circle and vine pattern lace. The circles are made of gold lame. 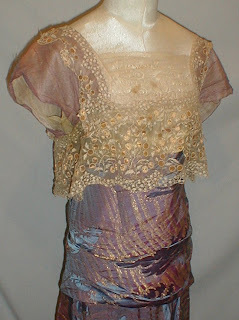 The lace is laid over a band of gold lame. 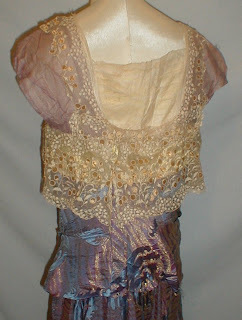 The bodice is also made of blue and mauve net lace that is laid over a layer of ecru net lace. The lower edge of the skirt is made of blue and mauve net lace. The edges of the net lace are trimmed with blue, pink and yellow satin ribbon. 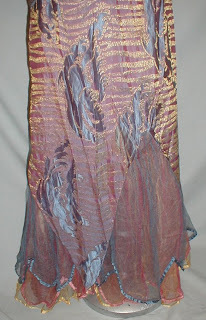 The skirt is lined with gold and blue silk. 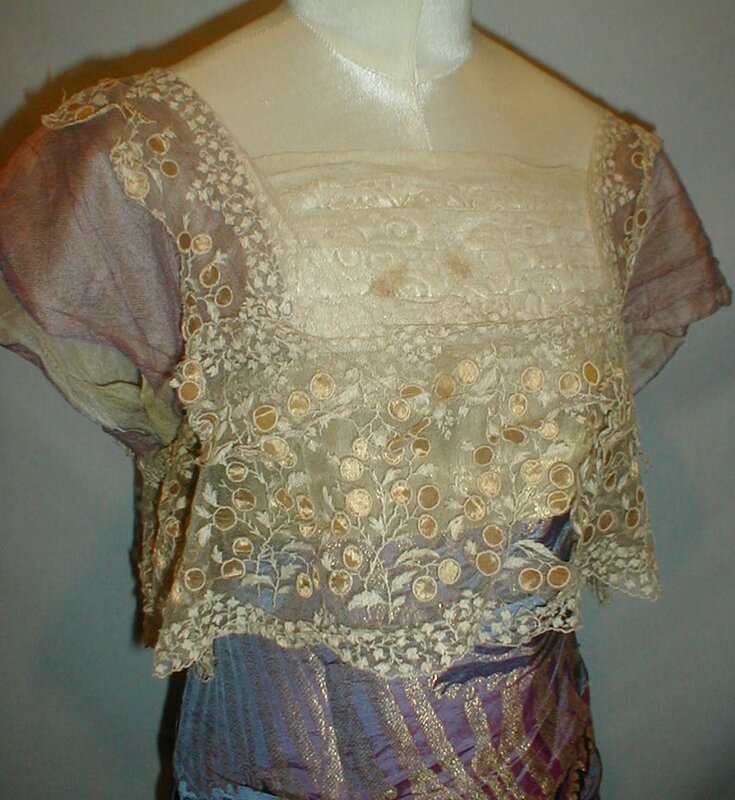 The dress has a back snap closure. It is good as found condition. 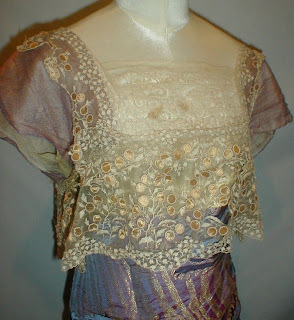 There are two spots on the front of the bodice and breaks in the lace trim. 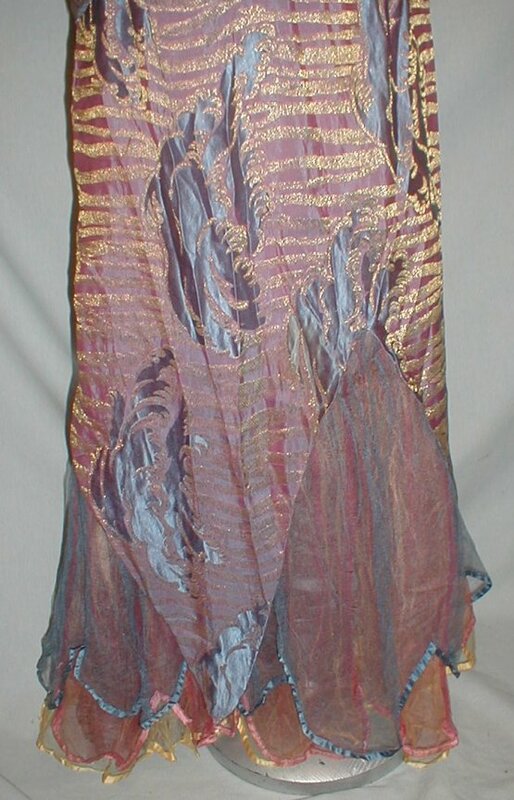 The blue silk lining is splitting. 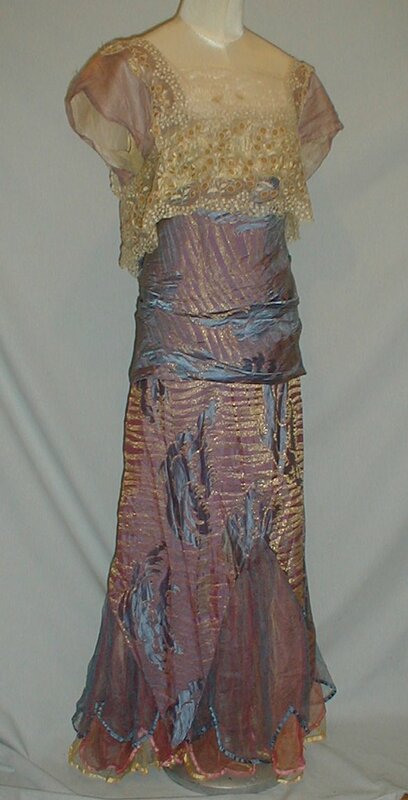 Bust 32 Waist 34 Hips 38 Skirt length 37.